We believe that the best way to learn about Sarasota Bay is to experience it first-hand. That's why we've been offering free educational kayak tours of Sarasota Bay since 2007. Going into our tenth year of Bay Wise Kayak Tours, we're grateful to those of you who have taken the time to paddle with us and we're looking forward to getting out there with new people to talk about what makes Sarasota Bay an estuary of national significance. We're offering eleven paddles this year, including a new route on South Creek. All registration is handled through Eventbrite. Registration for each tour will open one month in advance. 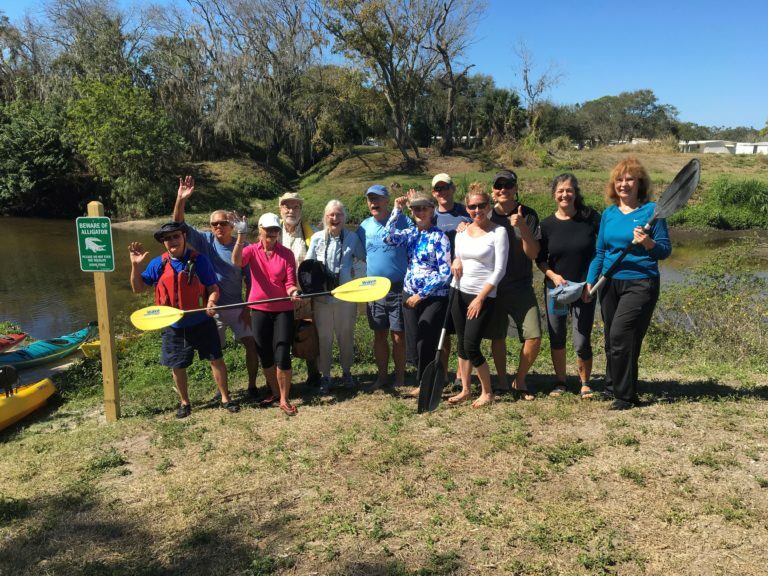 If you would like to be notified when registration opens for each tour, please update your subscriber preferences and check the "Paddling" box. Please help us bring Bay Wise Kayak Tours to as many people as possible by signing up for a maximum of two tours. Bay Wise Kayak Tours participants are responsible for bringing their own kayaks, paddles, and gear. Several local rental outiftters provide discounts to Bay Wise Kayak Tour participants - please call us for details at (941) 955-8085. For more information about what to expect on a Bay Wise paddle, please visit the Bay Wise Kayak Tours page on our website. Hope to see you soon, and thanks for paddling! ← How Do Hurricanes Impact Estuaries?